Why not check out our list of the best car insurance companies. Are there any exclusions with Autonet car insurance? How much does Autonet car insurance cost? Autonet is an insurance broker that works with some of the biggest UK motor insurers, including Aviva, Allianz, AXA, Ageas and LV=. It was established in 1998 in Stoke-On-Trent. 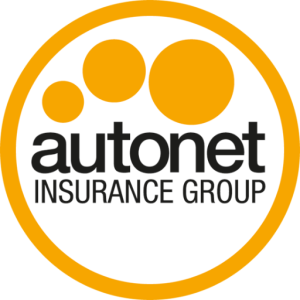 Autonet also provides business insurance, home insurance, caravan insurance, travel insurance and pet insurance. It provides brokerage services for three car insurance cover levels: third party; third party, fire and theft; and comprehensive. It also offers short-term car insurance, if you need car insurance for up to 28 days. Because Autonet is a broker it presents policies from a range of companies and it says it has negotiated discounts with its partners. Autonet offers a number of extras, including motor legal expenses cover, breakdown cover, roadside assistance cover and excess protector insurance. It even offers a European Cover that can give you roadside assistance anywhere in the UK and in Europe. There are some general exclusions to the policies Autonet presents. For instance, the extended cover that allows you to drive other cars does not cover vans. Other exclusions will be specific to the policy your purchase through Autonet. For instance, if you purchase your insurance with Sabre, make sure you read its policies documents so you know exactly what is excluded from your cover. If you insure your van through Autonet, your tools will not be covered. This could be a problem if you are a builder and need to have the contents of your van covered. Some insurers will offer this, however. See our best van insurance article for more information. A range of factors go into calculating the cost of car insurance, including the make of your car, its engine size, how old it is, what you use it for, how many miles you drive annually, where you live, and whether you choose any additional extras. Because so many things determine the cost of car insurance, it's difficult for us to estimate how much yours will cost. The best way to get an accurate price is to get a quote. However, there is an average car insurance cost. Read our article on the cost of car insurance for more information. You can try to bring your insurance premium down by adding a voluntary excess. This is an extra cost on top of any compulsory excess you have to cover if you make a claim. Autonet allows you to increase your voluntary excess up to £700. While this will bring the price of your premium down, remember that if you have to claim you will have to pay this figure, so you should make sure it is affordable for you. Autonet does offer a range of extras that have fixed prices. For example, windscreen cover is £35.95. It can be useful as an add-on because if you make a claim for broken glass on it, it will not affect the no-claims-bonus on your car insurance policy. It also offers breakdown cover through AXA that starts at £50.95 a year. On Reviews.co.uk, Autonet car insurance has a 4.28 rating out of 5 based on over 2,350 reviews. Over on Reviewcentre.com, Autonet has been rated 4.3 out of 5 based on over 2,440 reviews, with 86% of customers recommending the company. On Trustpilot, Autonet has a rating of 7.8 out of 10 based on over 2,000 reviews. 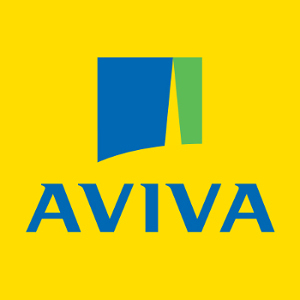 Autonet has been named as one of the top 50 UK brokers in 2016 by the Insurance Post. It also won the Personal Lines Broker of the Year award and the Independent Broker of the Year award at the Insurance Times Award in 2014. To make a claim through Autonet, you'll need to call the company on 0800 9537 537, its 24-hour claims service. Have a look at our list of the best car insurance companies.